Hi guys!! How are you doing? In my country there are Holidays next week. Schools are closed and we decided to take our older girl out of the kindergarten for this week. My husband took some time off too, so wee can be together and do some stuff. Today we are going to his parents house, so that our daughters will have some time together with their grand parents. I have some plans for the days to come, but we will see how the weather will hold. Because there are some showers in the weather forecast. And let’s start with my mani, because that’s why we’re here. I chose these three beauties and they are all from ILNP Spring collection. I bought them all on Nailland.hu and they were very nice with my order so they added some extra for me, and I will show you that in one of my upcoming manis. 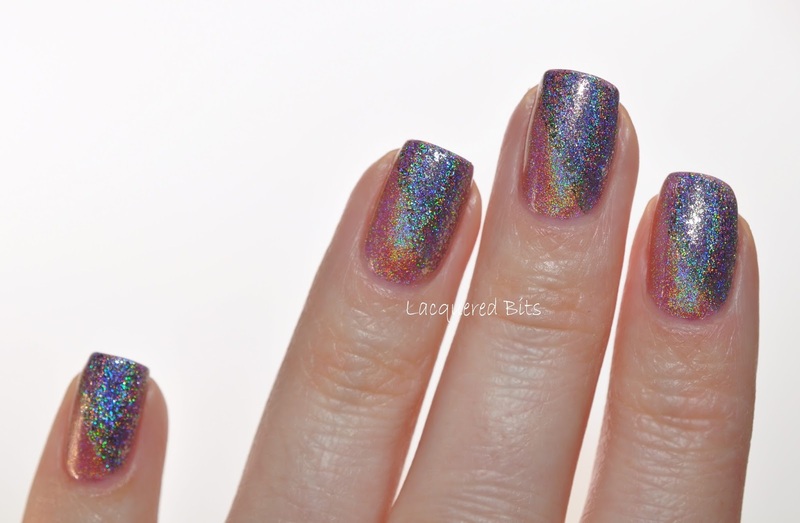 Firstly I applied ILNP – Flower Girl. It is a pink holographic polish that looks kind of vintage to me. It is subtle and most definitely office appropriate and the brush was amazing!!! The polish was so easy to apply, since there was no flooding in to cuticles even though I went so close to them. I applied two coats, but because this polish is so subtle I couldn’t tell whether it is opaque or not. It looks opaque to me. Look at the close up. Stunning!! And all the sparkle in other two polishes. 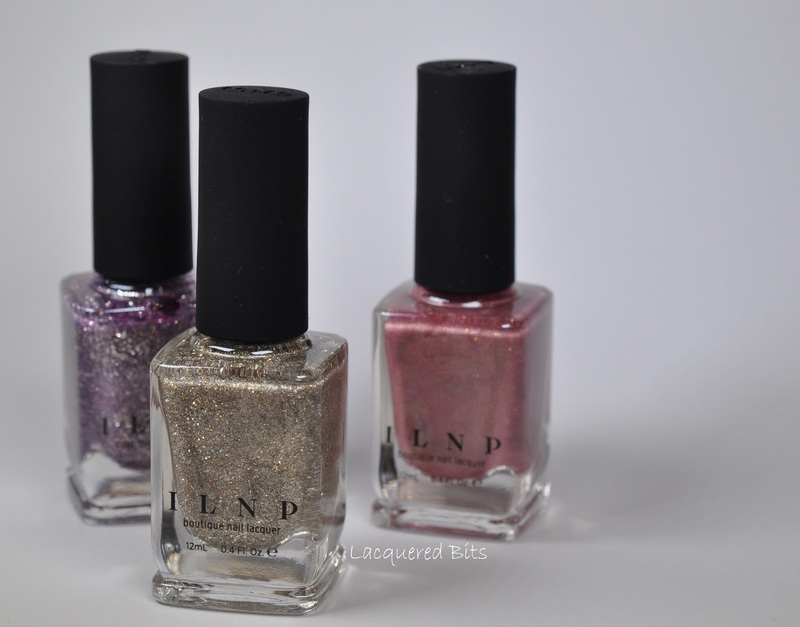 The second I applied ILNP – Happly Ever After. It is lilac with silver flakes and a holographic effect. And again, the brush was amazing. I had no problems with anything at all. 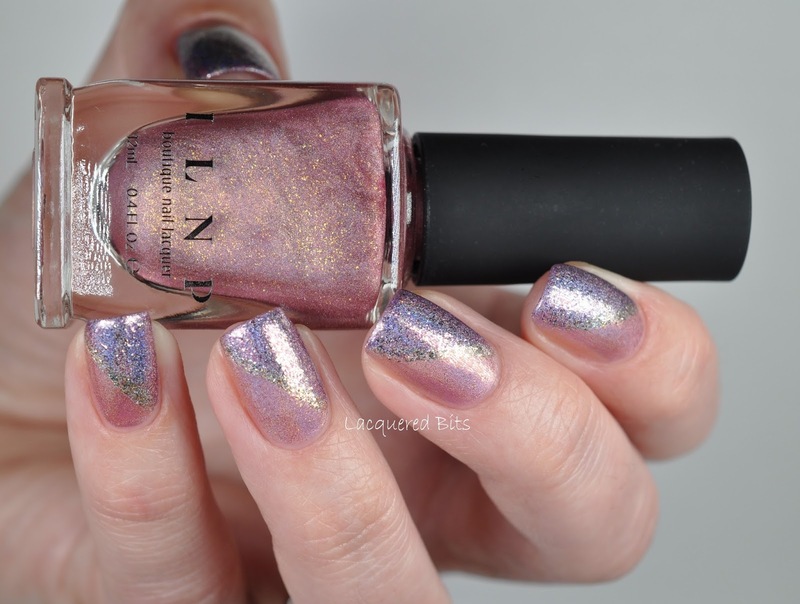 And the last one I added was ILNP – Fame as a connecting line between both of the coloured holos. This one is filled with silver and golden flakes and amazing holo. I applied it with a stripping brush. 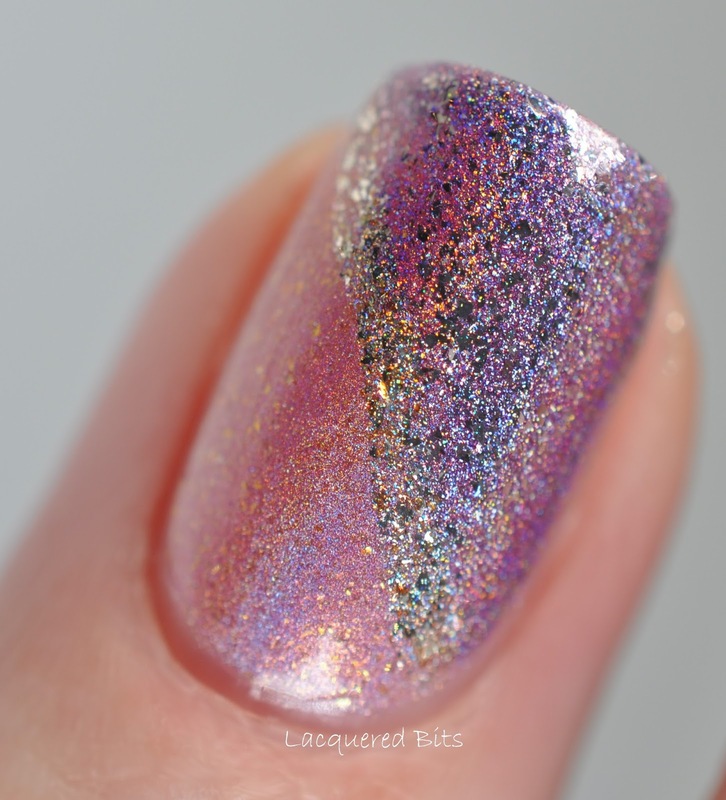 And here is the holo beautifully translating from one polish to another. Gorgeous!! I am just discovering holo polish and I mean polish with this much holo. And I have to admit that I love it. Especially out in the sun, I just can’t stop starring at them. I probably look silly, but I don’t care, because I love it so much :D.
Me veseli, da nisem edina zbirateljica lakov 😀 Ja, res so hudi njihovi holoti. So mi pa všeč tudi od Colors by Llarowe, imajo tudi zelo fajn holote.